Mr. Rivera-Arce is an accomplished labor and employment law attorney with a record of outstanding results for employers, including multinational companies and domestic industry leaders. His practice concentrates on diverse topics, including wrongful termination, employment discrimination, labor unions, wages and hours, retaliation, sexual harassment, violation of constitutional rights, defamation, and other employment-related contracts and torts. He has ample experience in union representation, labor arbitration and collective bargaining agreement negotiations. He has managed and litigated close to 100 labor arbitration cases, with an outstanding record in favor of his clients. He has also managed multiple wage and hour collective and class actions. Mr. Rivera-Arce, who is ranked as one of Puerto Rico’s Leading Attorneys in the Labor & Employment Law field by the renowned international publication Chambers & Partners in its Latin America Guide, actively litigates labor and employment lawsuits in local and federal courts, both at trial and appellate levels. He has also successfully represented clients in numerous types of administrative proceedings before local and federal agencies such as the E.E.O.C., the N.L.R.B., the U.S. Department of Labor, the P.R. Department of Labor, the P.R. Anti-Discrimination Unit, the P.R. Office of Mediation and Adjudication, and the P.R. Bureau of Conciliation and Arbitration. 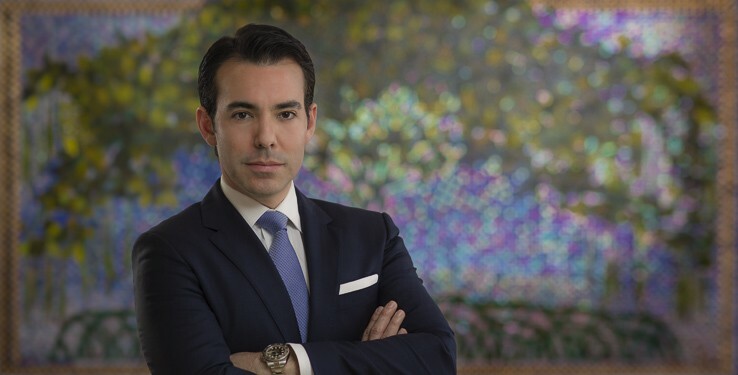 As a member of the Mergers & Acquisitions Practice Team, Mr. Rivera-Arce provides legal counsel to clients during startups, acquisitions, mergers and closings of operations. As a member of the Hospitality Practice Team, he caters to the special legal needs of the tourism and food services industries. His practice focuses as well on preventive counseling and compliance in all areas of labor and employment law, including: internal audits and investigations; company reorganizations; leaves and accommodations; company trainings; and preparation of company policies and employee manuals. He also regularly serves as a featured speaker at public forums and symposiums on many topics related to employment law. Successfully represented a Fortune 500 multinational client in the merger of two domestic operations with different bargaining units, which entailed a complete restructure and consolidation of its operations, the negotiation of a new collective bargaining agreement and a reduction in force, all of it achieved while still preventing any strikes or concerted activities against the Company. Collaborated in the multi-disciplinary effort and complex process of successfully establishing the first Public-Private Partnership in Puerto Rico, which involved, among other things: analysis of RFP issued by the Public-Private Partnership Agency; due diligence of all factual and legal aspects involved in the transaction; negotiation and drafting of proposed concession agreement; legal counsel on employment law issues during process of submission to successful bidding of client’s proposal; establishment of operations of new corporate entity designed to operate concession of PPP. Defended an international client against a multi-million wage and hour collective lawsuit, composed of a class of almost 700 hundred employees, which after a very contentious but effective litigation, resulted in the dismissal of 90% of the claims and the negotiation of a settlement agreement for a nuisance value. Successfully defended a client against a seven-figure sexual harassment and torts claim filed by an independent contractor due to alleged indecent actions by an employee. After reaching the P.R. Supreme Court, obtained a crucial victory for client and for all employers by establishing, in a published opinion, a precedent in a topic of first impression substantially limiting the extent of an employer’s liability for sexual harassment acts committed by an employee against third parties and/or contractors. Mariela Hernández v. Televicentro de Puerto Rico, 168 D.P.R. 803 (2006). Represented multiple clients in collective bargaining negotiations with different national Unions, including locals of the Teamsters, the Service Employees International Union (SEIU) and the Office and Professional Employees International Union (OPEIU), obtaining consistently excellent results. Prevailed in an important case argued before the U.S. Court of Appeals for the First Circuit, defending an international client against a multi-million age and national origin discrimination lawsuit, which also attacked the validity of separation agreements executed by former employees as part of a reorganization and reduction in force. Court of Appeals upheld the validity of the separation agreements that effectively waived all claims against a myriad of attacks on different fronts, obtaining the dismissal of the entire lawsuit. Cabán Hernández v. Philip Morris USA, Inc., 486 F.3d 1 (1st. Cir. 2007); Cabán Hernández v. Philip Morris USA, Inc., 2006 U.S. Dist. LEXIS 96027 (D. Puerto Rico, April 27, 2006). Defended a multinational chemical manufacturer against a seven-figure disability discrimination, failure to accommodate, unjust dismissal and torts lawsuit brought by a former employee who alleged to have developed a medical condition stemming from the exposure to chemicals at the work-site that permanently disabled her. After obliterating the frivolous claims of any alleged causal relationship between the workplace conditions and the purported medical condition, obtained the dismissal of the case, via summary judgment, by successfully arguing that claims were barred due to plaintiff’s failure to exhaust administrative remedies and due to the employer’s immunity conferred by the P.R. Workman’s Compensation Act. Otero-Avilés v. DuPont Agr. Caribe Industries, Ltd., 555 F. Supp.2d 278 (D. Puerto Rico 2007). Successfully defended a pharmaceutical company from disability discrimination, failure to accommodate, retaliation and constructive discharge lawsuit asserted by a former employee that developed fibromyalgia and was unable perform the essential duties of her job position. Obtained the dismissal, via summary judgment, of entire case. Rodríguez v. IPR Pharmaceuticals, 08-CV-02107 (D. Puerto Rico 2011). Successfully defended an international manufacturer of aerospace products against a disability discrimination, failure to accommodate and unjust dismissal lawsuit filed under the Americans with Disabilities Act and other local statutes, in which a former employee questioned his transfer and subsequent termination after he requested a reasonable accommodation due to a medical condition which rendered him incapable of performing the essential job functions of his position. Obtained the dismissal, via summary judgment, of all claims against the Company. Tejero v. Hamilton Sundstrand de Puerto Rico, 2012 WL 2746841 (D. Puerto Rico). Defended a local industry leader against two age and disability discrimination, and unjust dismissal lawsuits brought by two former employees. Obtained the dismissal, via summary judgment, of most of the claims brought against client filed under the A.D.A., A.D.E.A., Title VII, P.R. Act 100, and P.R. Act 80. Torres-Almán v. Verizon Wireless, Axesa Servicios de Información, 522 F.Supp. 2d 367 (D. Puerto Rico 2007); Matías-Cardona v. Axesa Servicios de Información, 610 F.Supp. 2d 157 (D. Puerto Rico 2009). Obtained the dismissal, via summary judgment, of a federal age discrimination and unjust dismissal lawsuit filed by a former employee stemming from his termination after a Company-wide reduction in force and reorganization. Castro-Baez v. Tyco Electronics Corporation, 2012 WL 1934014 (D. Puerto Rico, May 29, 2012). Successfully defended and provided legal counsel to the University of Puerto Rico with respect to various injunction court cases and other legal matters stemming from illegal strikes and riots that effectively shut-down the University for various months. Successfully represented a national chain of restaurants against an unjust termination claim on an AAA arbitration proceeding, obtaining a favorable award sustaining the Company’s actions, which was also subsequently upheld on appeal. Anthony v. Morton's Of Chicago, KLAN0400874, 2004 WL 2420650 (TCA, Sept. 30, 2004). Provided strategic advice and obtained a preliminary injunction in favor of a client against three Unions that were supporting an illegal strike that was effectively blocking the Company’s operations at a port, with the intent forcing new contractual relationships with non-employees. In a crucial victory for the client, a removal petition of the lawsuit and injunction was defeated, subsequently paving the way for the rare issuing of the injunction in a purported labor dispute and the eventual eviction of the union strikers. Schnitzer Puerto Rico Inc. v. Union De Trabajadores De Muelles De Ponce, 2014 WL 5343228 (D. Puerto Rico; Oct. 20, 2014). Puerto Rico Supreme Court reinforces employer’s duty to provide a private, safe and hygienic location to its working mothers who are breastfeeding.